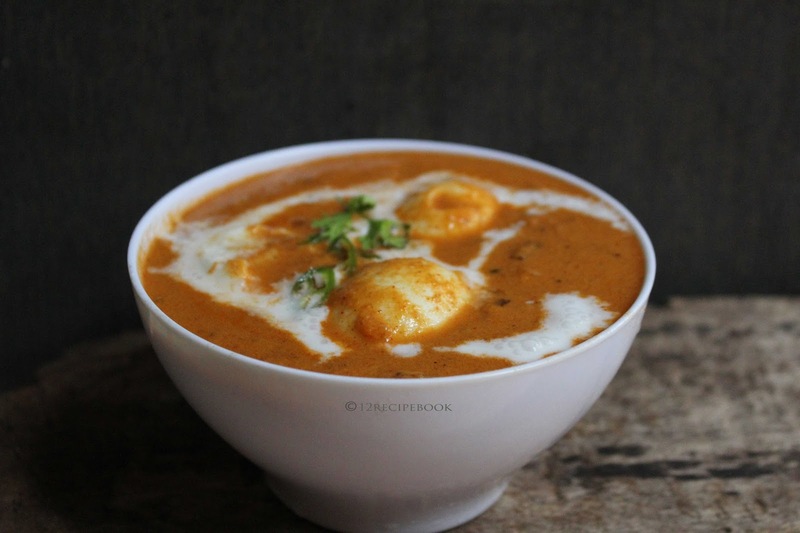 When I'm in doubt about what to prepare; Egg curry is the first thought coming in my mind. I think it is the affordable and favorite choice for most of them. 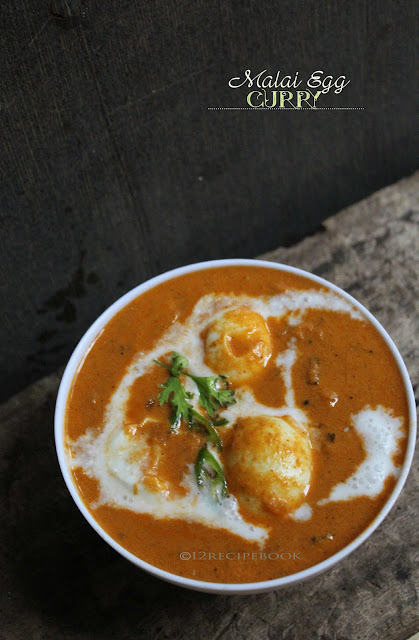 Malai egg curry is a creamy and delicious egg main course. It is well paired with idiyappam, naan or appam. Try this simple yet royal curry at your home and make the dine rich. Cook tomatoes in boiling water for 5 minutes. Drain it and add to the cold water. Peel its skin and add it in to a blender to make a smooth puree. Keep aside. Add very thinly chopped onion and saute until transparent. Add ginger and green chilly; saute for a minute. Add all the powders (8-12)in low flame one by one after mixing well in each addition. Add tomato puree and cook for 5 minutes in slow flame. Add 1/4 cup of water, thick coconut milk and salt; When it boils add the boiled eggs in to curry. Cook for another 5-8 minutes until the curry thickens and oil floats on top. Switch off the flame by adding crushed kasoori methi and coriander leaves on top. Serve hot by curling some coconut milk on top.